Almost everyone who works at an office, hospital, or school are given an ID as soon as they begin working. That's why every business needs custom badge and ID holders with their brand's logo on them. It helps spread the name of your brand as well as keep employees' badges and IDs organized and in one place! They're practically a necessity. 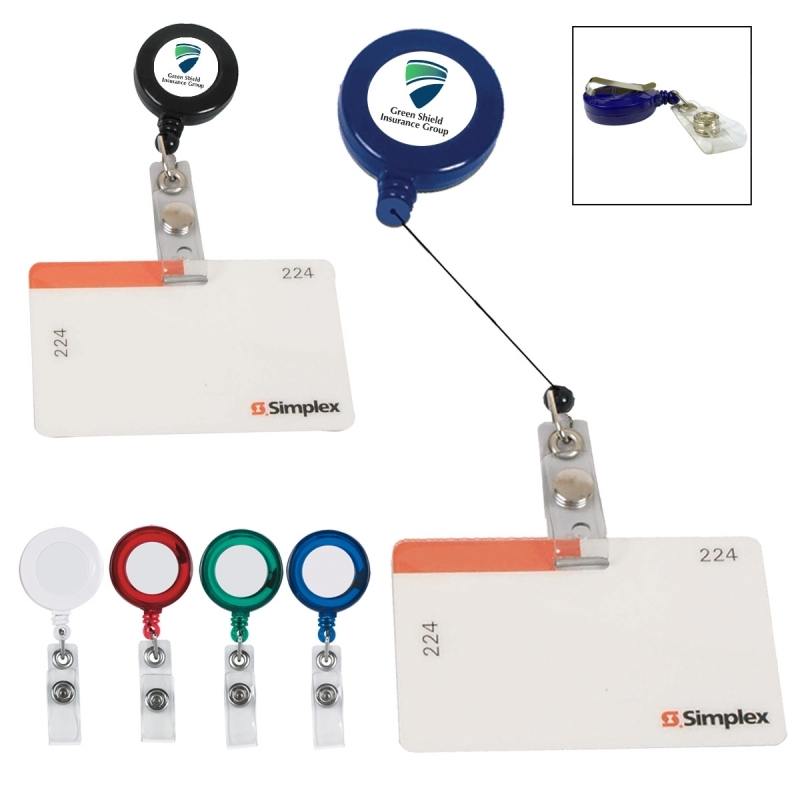 We carry retractable badge holders, lanyard badge holders, wallet badge holders, and more, so you can find the right one for your business. Another great gift for new employees are custom discount pens, a gift that will be appreciated and used! The minimum on the style shown (left) is 300 pieces and starts at about $1.45 each. Of course the more you purchase the lower the price! Contact us for a quote!